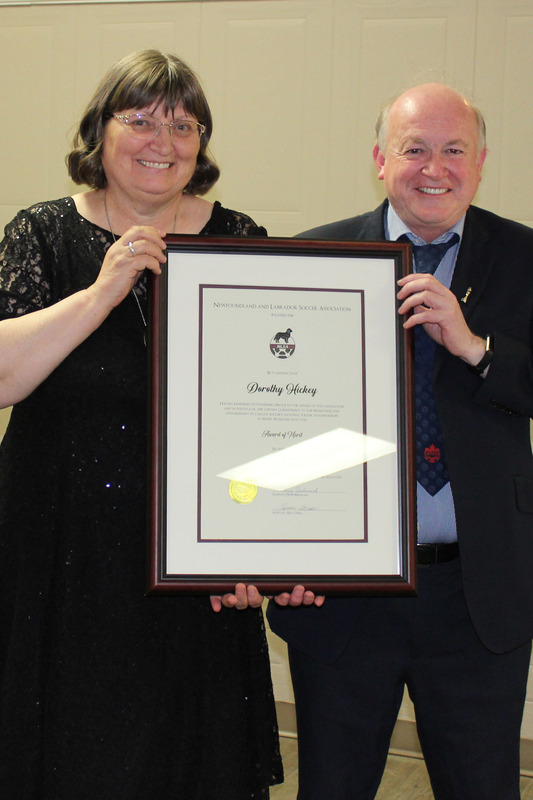 Thirty years ago a small group of volunteers gathered in the South Coast Regional Development Association Office on the Intersection of the cross-country road and the Harbour Breton highway. That evening, amidst, the ringing strings of guitars, the melodious accordions, and jovial storytelling a new daring organization was born. Never had there been anything like the South Coast Arts Community (SCAC) anywhere on the Connaigre Peninsula. That was December, 1985. Those sitting around that table were bold enough to say they would represent the communities from Rencontre East to St. Alban’s to promote all forms of the arts along the coast. Membership ebbed and flowed as with all organizations with representatives from Milltown, St. Alban’s, Hermitage, Pool’s Cove, Belleoram and the communities within St. Jacques-Coomb’s Cove over time. There were those who cheered the group for their vision and there were those who predicted its demise. That evening dreams of art exhibits, theatrical performances, dance, musical events and film making were placed on the table. Nothing was out of bounds to the group buoyed by hope and determination. There was animated discussion and a decision to organize and host a music festival that would take in performers from all along the coast. It would be a showcase of the rich musical heritage this coast has been known for. The Hangashore Folk Festival was in its heyday; Brimstone Head was just getting started and the Bannerman Park Folk Festival was well underway. The Festival was originally envisaged to be a travelling event which would alternate between Milltown, Hermitage, Harbour Breton and St. Jacques. The first one was held in Milltown adjacent to the Lions Centre, our stage the back of a flatbed truck, set against a background painted by students at the community centre in St. Jacques and trucked to Milltown for installation. A single 10 x 10 platform before the stage served dancers well while the blustery gusts of wind blasted sand throughout the valley. There was excitement in the air as the first event got underway. From the stage it was easy to see the many folks from ‘down over the road’ who had made the trip to be in this first audience. It could be nothing but a success. The second festival was hosted by Hermitage adjacent to the local Lions Club. Again there was excitement as our members from the Hermitage area worked hard to ensure everything went as planned. By now we were experienced and could see a long future of doing this along the coast. Attempts to bring the third event to harbour Breton failed to garner any interest so the Board decided to find a suitable location in St. Jacques. After scouting several sites the current site was selected. At that time the St. Jacques site was covered with low bushes and shrubs even though it had been a grass ground many years earlier. The owner of the property, graciously donated it to the SCAC as a permanent location for what, by now was being called “The Festival”. A team of volunteers set to work with saws and lawn mowers and readied the field. That first festival on the site was a tremendous success despite erratic surfaces and occasional boulders. People from all surrounding communities turned out in great numbers. Support from other community organizations was overwhelmingly positive. Our flatbed stage served the performers well. The tarps draped over a skeletal frame kept off the drizzle and rain most of the time on one of the days. There was never a shortage of volunteers. In fact, sometimes it was challenging to keep everyone busy. In short, it set the pattern for all future festivals in St. Jacques. In the meantime a photography exhibit was organized, a one act play written and performed, and several Arts nights held at the Red Rock Lounge near Beaver Pond with local performers thrilling audiences until the wee hours of the morning. All proceeds went to getting the SCAC off to a solid start. At one point a scholarship for any student at Fitz-Gerald High School who went to an Arts Program was offered. Monies were spent on fencing for the festival site, road and parking lot work, stage maintenance, etc. Before long the site began to take on the look of a permanent installation with running water, perimeter lighting, security fences, concession booths and emergency services. 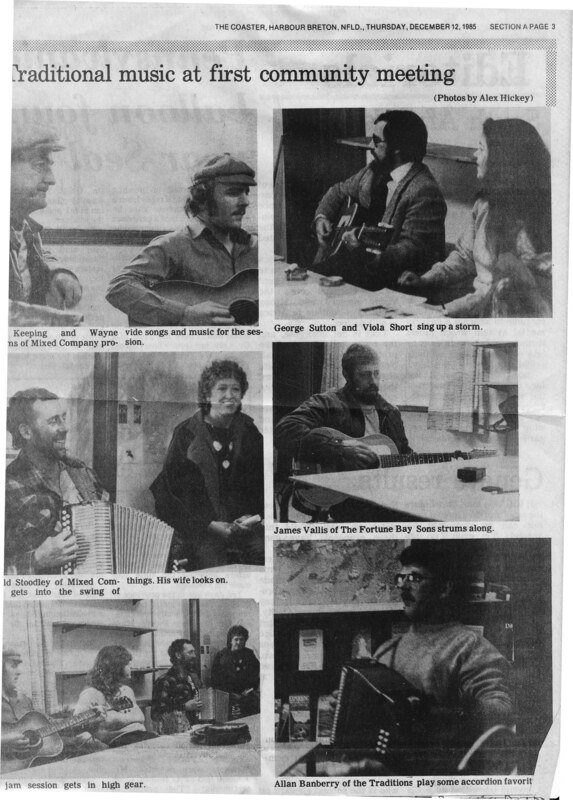 Local recording artists such as Simani, Country Dream, Gordon Drake, Stan Fiander, George Sutton and the Fortune Bay Sons were making a name for themselves throughout the Province. Sim Savoury had started Sim’s Studio in Belleoram. Bud Davidge had established SWC productions in English Hr. West. Local bars hired live bands. At festival time performers flocked to the St. Jacques site from Bay D’Espoir, Hermitage, and Hr. Breton. Joe Rideout and George Fiander from Hermitage were perennial favourites. Bill Snook and Terry Crant from Hr. Breton drew a crowd. Ron Bartlett and Carl Green from Milltown won over audiences whenever they played. On occasion performers from elsewhere in the province graced our stage such as Des Walsh and Paul Dean. Now, thirty years later “The Festival” is a flagship event in the Coast of Bays drawing residents home around the second weekend of August each year. Families see it as a time to reunite each summer; friendships are strengthened and developed among the many residents who see the event as the best time of the year to connect with others. It has become more than a cultural event; it has become a social event integral to all of the surrounding communities. At the core of “The Festival’s” success has been a contingent of dedicated volunteers who have worked extremely hard to keep it alive and growing. The engine which has taken the SCAC this far is volunteerism; without the hundreds of volunteers and the thousands of hours they have given to the cause the event which thousands of people have lovingly come to call “The Festival”, would not exist. All participants volunteer their time, expertise and talent. Local performers from all of the communities between St. Alban’s and Rencontre East are celebrated and provided time to perform. None accept remuneration. Other than the individuals who handle financial transactions during the event, all others who work to make The Festival a continuing success are strictly volunteers. This is a source of some pride within the local communities. Other organizations such as the Lions Club, Fire Department, Church Groups, RCMP, the Medical Clinic, Public Health, Town Council, Recreation Groups, among others take part and provide services. The SCAC, which is a not-for-profit organization, does not sustain itself on external grants; rather, it thrives on local revenue, wisely reinvesting each year in its own infrastructure in order to be able to offer residents and visitors a quality experience. An event like this festival takes months of planning and preparation; time spent outside of work commitments during evenings and weekends. That volunteerism is almost invisible. During the event volunteers are moving about making things happen seamlessly, such is their skill and dedication. Each year it is a struggle to accommodate all of the performers who wish to take part. The stage is filled for twenty hours of live music spread over three days. Find another festival like that. This year, festival organizers salute the many volunteers who have made this annual regional reunion such a success as we once again celebrate the music and artistry of the south coast on Newfoundland. The video below, put together for our 25th Anniversary will give you a glimpse into those early years.